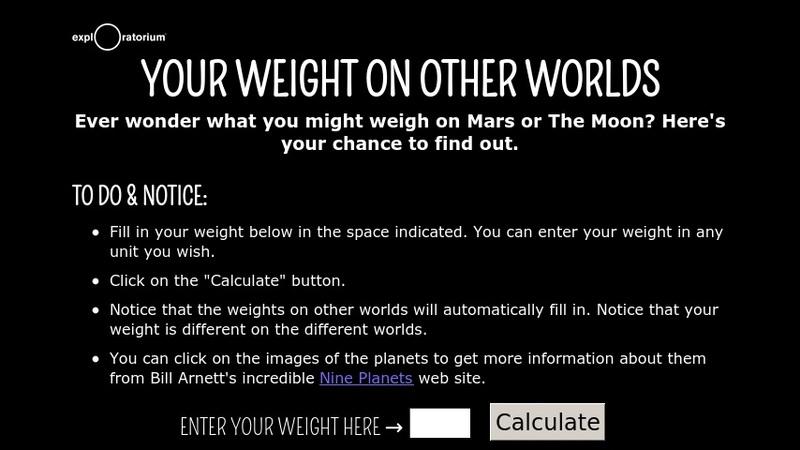 Students can put their weights into this calculation tool and see how much more or less they would weigh on the other planets, moons, our sun, and other types of stars. The tool is accompanied by discussions of mass, weight, gravity , and distance. Clicking on the images of the planets links the user to additional information for each one.